Whether you are in urgent need of essential maintenance or are looking for a skilled team of Bournemouth roofers to install a brand new roof on your property, you are in the hands of a team of experts with Pro Roofing. For more than 30 years, we have been supporting residents with repairs and the construction of new roofs. Call 01202 518763 to have a chat with one of our specialists and obtain your bespoke and FREE quote today. If you are looking for trustworthy roofers in Bournemouth with a wealth of knowledge and experience, you can rest assured that Pro Roofing is the best company for the job. We are committed to keeping up with the latest Health and Safety regulations and we provide a minimum of 10 years guarantee on all of our work. Neglecting roofing repairs will cause a detrimental impact to your property and although you may think you will be saving time and money, in the long run you could be much worse off. The best way forward is to instruct the expertise of qualified and reliable Bournemouth roofers to carry out a full structural survey of your property. From this we can provide you with a FREE and tailored quotation for crucial repairs and cost-effective preventative work. If you are unsure of the best approach to your essential repairs or which roofing option is the most appropriate for your property, call our Bournemouth roofers team today on 01202 518763. Each of our team members is on hand to offer you impartial advice so that you can make the right decision today, for long term benefits long into the future. 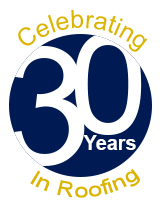 For 30 plus years, we have been committed to providing an unmatched combination of high-quality roofers Bournemouth work and exceptional customer service. Furthermore, to ensure that we provide the most competitive roofing prices in the market, we have an in-house scaffolding team to keep our overheads down, and so you can take advantage of our affordable prices. This approach also enables our Bournemouth roofers to conduct their work while complying with the highest of safety standards. Moreover, in a bid to ensure that all of our work is carried out in a sustainable manner, our roofers Bournemouth team have made a pledge to maintain the highest environmental standards during each and every project. One of the ways we aim to achieve this is by switching off machinery when it is not in use to conserve energy, as well as regularly servicing our equipment to improve its efficiency. Our commitment to achieving customer satisfaction in every job we do has earned us an excellent reputation in the local area and we are extremely proud of our glowing testimonials from happy customers. On top of being the leading roofers in Bournemouth, homeowners can also count on our skilled experts to complete stunning loft conversions and fit roof windows so you can enjoy more natural light in your home. The answer to all your roofing needs is just a phone call away. 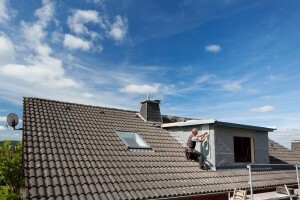 Get in touch with our knowledgeable Bournemouth roofers for your tailored and FREE quote. Call 01202 518763 or fill in our contact form today.